It could be a hot camping summer day, an open-air meditation tent, or a small camper without its own power - they all need some cooling. These are places where a traditional air conditioner turns out to be useless due to lack of electricity. A battery-powered AC unit is the perfect alternative in such circumstances. It functions and adds coolness to the place despite power outages and/or absence of an electrical connection. It’s a great piece cooling equipment for camping, after a natural disaster, or in any remote, isolated location. A “normal” powered air conditioner - one that draws on your house’s current - would be your obvious choice to cool a space in most circumstances where you have perpetuity of electricity. But in those rare cases when there is no electricity you would need to choose a battery-powered AC unit. This works best in a variety of circumstances. 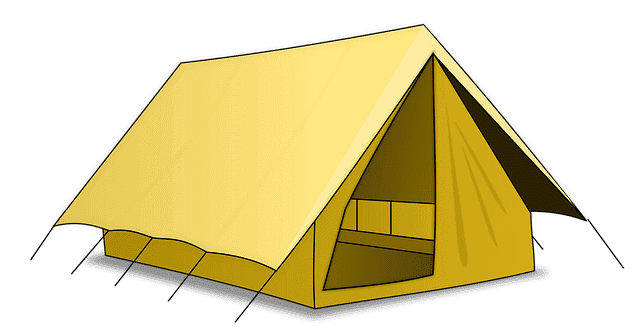 Maybe you are camping in the woods in the summer roughing it in a tent but you don’t want to rough it too much. If you’re working or living in an area with frequent power outages, you might also want such a unit as a backup. If you’re traveling and need to cool a trailer or camper, it’s also a good option. It can also be carried for recreational activities at the beach, on a boat or at sporting events. Battery-powered AC units are a must when you want to cool a tent or other small space. If you need a unit to work its best in humid and hot circumstances and can’t rely on a power line, these units will serve you well. You can also consider this type of air conditioner to cool a caravan or a truck that does not have a centralized cooling system. Since these vehicles are often used for camping and long travel, these easily portable AC units can be used en route to and at the destination without any electrical connection. Some portable battery powered AC units can even be used to cool ice and drinks - and that’s definitely a key point! Portable and battery powered AC units are designed to cool room spaces from 50 to 250 sq ft. This signifies that such units come with a rating between 500 and 1500 BTU. These units typically run on 12 volts batteries and on as little as 40W and run for about 10 hours. These air conditioners weigh anywhere between 10 lbs to 70 lbs. This is not directly related to the efficiency, but matters a great deal during the movement. If you are traveling or camping for more than few hours, you can turn them off while not in use or switch to fan mode. Another useful feature is that some of them also come with a wall adapter so that they can be charged while you are back home. Some units use ice and water. Of course, it’s important to check at least occasionally for leakage in such cases. Some units can keep the temperature as low as 35 degrees Fahrenheit for about 10 hours, while others may work that efficiently just for an hour. Though the manufacturers do not mention explicitly, the performance of these units also depends on the temperature of the external environment. When comparing prices, you should note whether a particular unit is built to perform both indoors and outdoors. Then choose according to your needs. When you are purchasing a battery-powered AC unit, you need to measure the product based on a few parameters. Some of the most important parameters are BTU rating, power consumption of the AC unit, how long the unit will run on battery while cooling, weight of the AC unit and the temperature in which it can perform effectively. One caveat: if you are expecting silence with these units, then you could be disappointed. But maybe they’ll drown out the crickets and the howls of the wolves while you’re camping. With units that use water, you need to calculate the weight of the air conditioner with and without ice and water in it. A gallon of water is the same as 3.78 liters. A gallon of water weighs about 8.34 pounds. Also, remember that the majority of these units use ice and water to cool so keep them at a distance from anything that should not get wet. 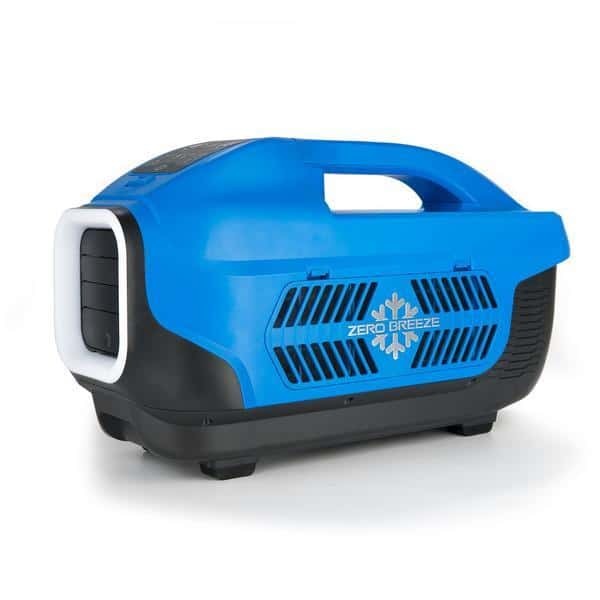 Keeping a tent, camper, office or dorm room cool and comfortable in stifling summertime conditions is a breeze with this best-in-show portable air conditioner. Zero Breeze has set new industry standards with this potent, lightweight, easy-carry indoor cooling unit, achieving performance levels previously thought impossible with battery-powered technology. The Zero Breeze 1100 BTU Portable Air Conditioner can comprehensively cool enclosed spaces of 50 square feet without a hitch. But it can still deliver respectable comfort in double or even triple that area. 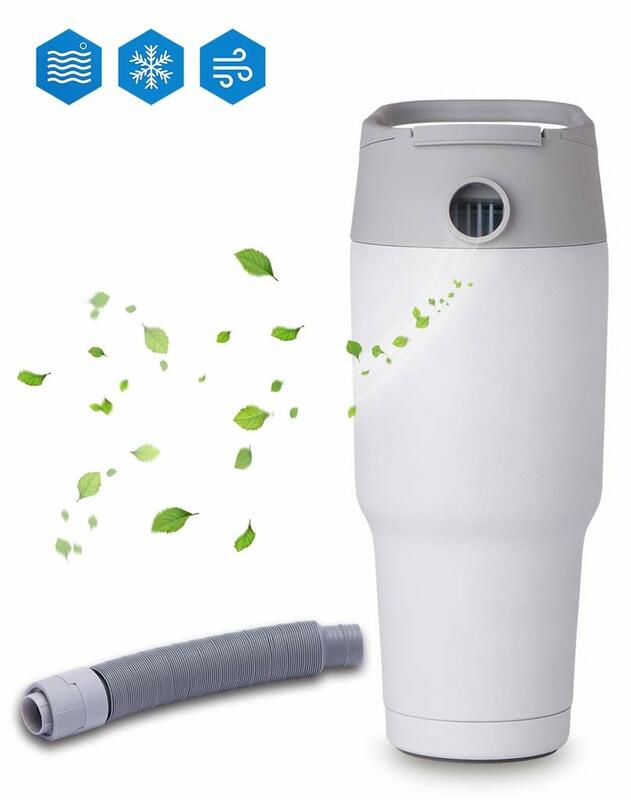 If you want to go super-small but stay super-effective, the best Uking Small Cooler-Camping Air Conditioner might be the ideal choice for you. 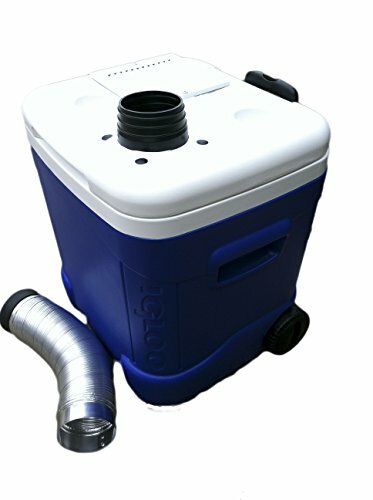 This inexpensive, but impressively versatile, cooler is especially popular with camping aficionados who want to control temperatures in their tents or RVs. However, it can do a solid job in most small rooms or even outdoors if you keep it close. Despite its small size (8” x 3” x 4.5”), this ingeniously designed and manufactured unit from best Uking can help you keep the heat at bay all day long. And as an added bonus, it can also function as a space heater in the wintertime. 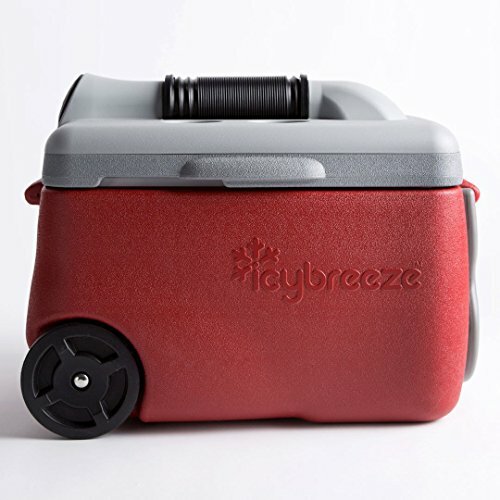 The best Uking Small Cooler-Camping Air Conditioner is a battery-powered, cordless wonder that can keep you comfortable wherever you are or whatever you’re doing. It is so small and lightweight that you can carry it with you and set it down anywhere. Because it consumes relatively low amounts of battery power, its operating costs are kept to a bare minimum. While the range of a single unit is limited, its bargain-rate price means you could probably afford to buy one for each member of your family. 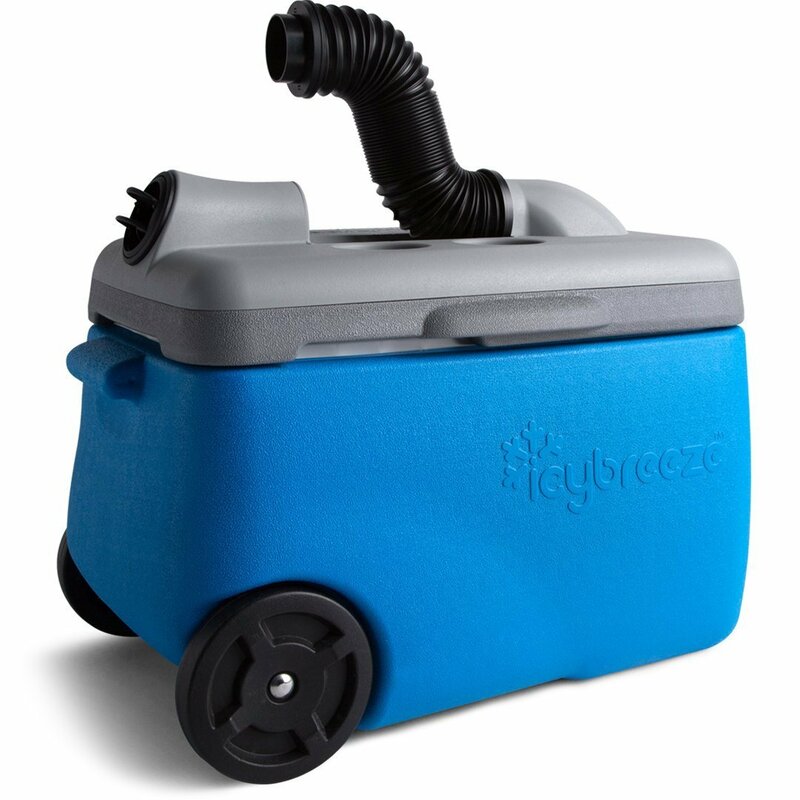 The IcyBreeze Air Conditioner and Cooler is a 22.6-pound portable unit and can be charged with a 12V battery. The charge lasts up to 7 hours at its lowest fan speed. At full power, it lasts for an hour. It can reduce the temperature by up to 35 degrees. This unit uses a heat exchanger through which water is sent. Fresh air then blows out of the vent. It has a 3-speed fan mode that blows air up to 25 MPH. It carries a vent with a stay-put flexi-hose. 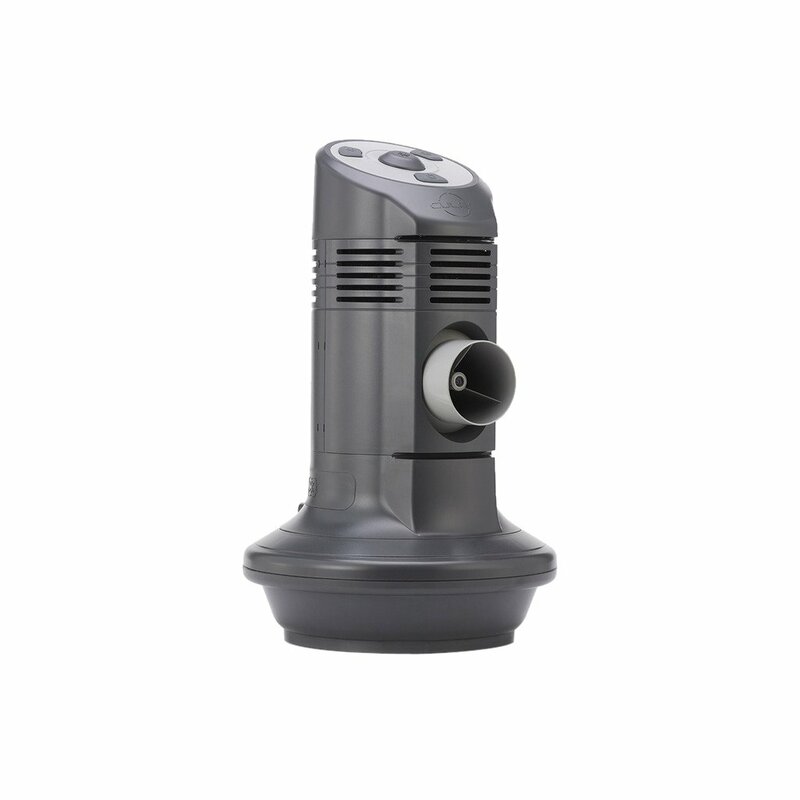 This handy unit has an ergonomic handle that makes it easy for transportation. It is made of sturdy plastic and has thick, insulated sidewalls that keep contents cool longer. The best uses are for camping, family outings, small offices and recreational trips. 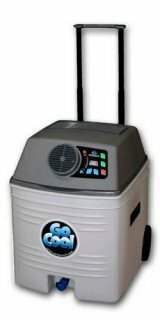 Go Cool’s entry is specially made for travel and easy portability. It measures 17.3” wide, 20” long and 24” wide. Ice and water are used to cool the area. It can hold up to 4 one-gallon jugs, 9 one-liter bottles or 40 pounds of bagged ice. It does not use any other coolant or chemical for cooling. The battery pack can be removed and recharged. This device cools small and enclosed spaces quickly and efficiently. It comes with an extra drainage tubing that lets you flush out excess mess. The Air Cooler from Lifesmart can be used both indoors and outdoors. This device works more like a mister than anything else. One gallon of water delivers 10 hours of cooling on 40W of power. Instead, just keep the unit’s ports open to keep cool air flowing. It is 21” long and weighs 10 pounds; it also has a built-in handle. This one-port space cooler provides 350 CFM of airflow for cooling 250 square feet of space. This unit does not run on a rechargeable battery. But it does include a DC cord to plug it in, which makes it handy for trucks or other places where you can connect it. And of course, you can always carry a 12V battery with you to the campsite. 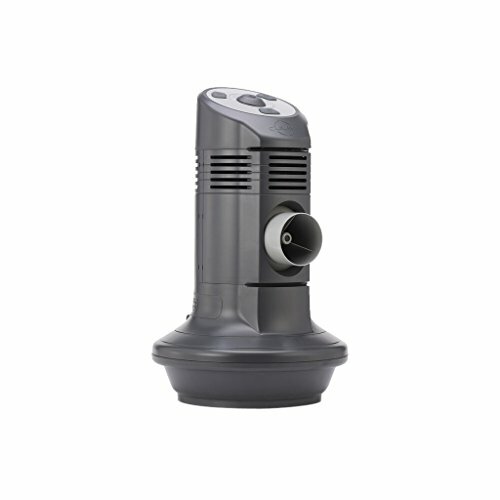 The Ice’nplug is ideal for a wide variety of uses, from campsites to cars and boats to small offices. It can also be used as a cooler in your garage. It’s another device that uses ice and water to cool and manages to lower the temperature by up to 35 degrees F.
It weighs about 14 pounds and measures 22 x 18 x 18 inches. Drawing on a 12V battery it can last up to 4.5 hours. The power cable measures 6 feet. This air conditioner has large wheels and a retractable steel handle. It also has a water-drainage assembly. Battery-powered AC units aren’t for daily use. But being on an adventure is the perfect time this piece of cooling equipment. It’s not a primary unit and will take longer to cool a small space. But when you’re on the road or out in the wild, this makeshift solution can save you from a great deal of heat.